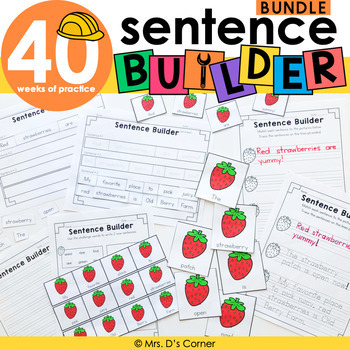 Sentence Builder Writing Bundle | Do you have students in your special needs classroom who struggle with writing sentences? Or maybe they struggle with putting words together to form a sentence? Sometimes it is difficult for some of our students to figure out how to organize words in a sentence. You can use this full-year resource to teach students how to write a sentence, or to reinforce the skills through interactive sentence building practice. 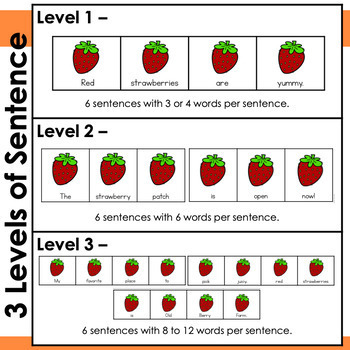 These leveled activities can be used in small or whole group, in literacy centers, or as morning or word work. This resource was created out of a desperate need for my own self-contained classroom. 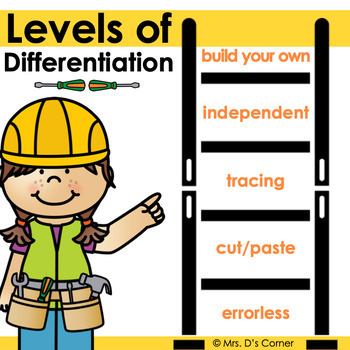 Students in my classroom, verbal and nonverbal, were struggling with sentences... but they had IEP goals to meet and I had zero curriculum to help them achieve their annual goals. So I created it for them, providing models and guidance to promote independence with the task. Each week's sentence pack is 68 pages total. Level 1 - 6 sentences with 3 or 4 words per sentence. Level 2 - 6 sentences with 6 words per sentence. Level 3 - 6 sentences with 8 to 12 words per sentence. Please download the preview file for a FREE sentence set. For a free FULL set of Level 2, download this FREEBIE on my website here. What are the topics for each week's sentences?